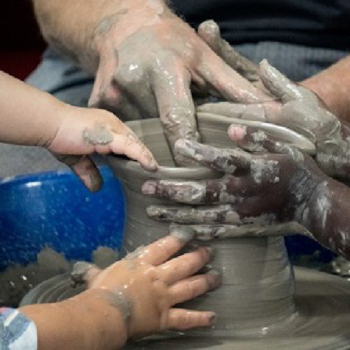 Following the closure of Newtown Cultural Project (trading as The Drum), Birmingham City Council (BCC) Cultural Development Services launched a series of arts development programmes, co-funded by Arts Council England. The focus of the programmes was people living in Aston and Newtown, and projects aimed at BAME practitioners and communities. This cultural investment aimed to increase opportunities for residents to experience high quality arts provision as audience members, participants, creators and leaders within Aston, Newtown and wider Birmingham areas. BCC commissioned M & E Lab to evaluate the impacts of a number of past and live funding programmes under this remit. Image used courtesy of Craftspace and photographer Liz Ord. M & E Lab entered into discussion with BCC’s Cultural Development Service team to establish the criteria for evaluation, based on the objectives of the funding programmes and BCC core objectives. With a desire to see interim findings that could help inform the live programmes, a first phase of work involved: mapping existing data regarding the funding processes and funded projects; interviews with funding beneficiaries and stakeholders; live observation of some of the funded arts workshops and events. The interim report was delivered in the summer of 2018. Our second phase of work involved further interviews and live observation of events. In addition, to capture perceptions of the funding programmes, we undertook: online ethnography to help us understand participant and audience responses; a survey aimed at participants in the ASTONish and CREATE programmes; an online survey exploring people’s understandings of the arts funding programmes in the wider Birmingham arts and culture sector. A breadth of data was gathered to allow us to triangulate across the entire corpus, and thematically identify the key areas in our written report for the Council and their stakeholders. We evaluated the impacts and made recommendations with the aim of informing Birmingham City Council’s cultural policies, and the wider cultural and creative industries. 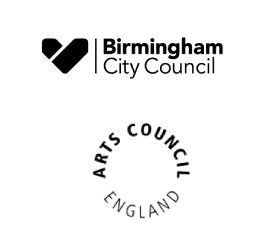 Working in collaboration with BCC, we have had the opportunity to share and debate our findings with beneficiaries, stakeholders, and the Birmingham arts sector. The dissemination event allows for a deeper engagement with the findings and recommendations, facilitating evidence-based change. The Cultural Development Service has found M & E Lab’s approach to evaluating a variety of our funding programmes professional, timely and insightful. They were able to meet our expectations of the approach and also suggest further, innovative research methods to uncover the diversity of narratives. Their findings, in turn, will play a pivotal role in understanding and informing how and where our programming can and should make a difference in such a culturally diverse city.